Operation Management is one of the most important functional areas of management and it is significantly interconnected with many other core activities in an organization. In fact it can be regarded as the heart of the business. Therefore there is no wonder that doing MBA in Operations management is a very good career option for a student and ensures a bright future ahead. Generally speaking MBA in Operations teaches its learners how to ensure the efficient flow of actions, curb down over heads and ensure customer satisfaction for the organization. And as a matter of fact each and every industry has got an operation section having a great role to play in terms of the organizational growth. He should also keep himself up-to-dated to keep pace with of today’s ever changing and dynamic business scenario. However it is concerned with much more, read on to know more about it. 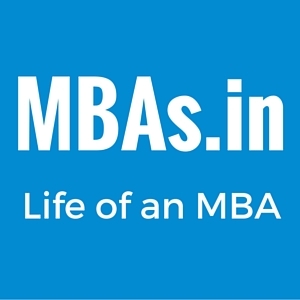 What is MBA in Operation Management? 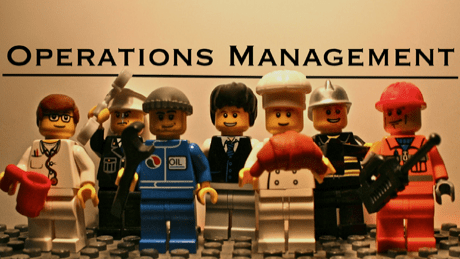 Operation management is an area of specialization in management studies that deals with designing and managing the production process of goods and services. It ensures the efficient and economic utilization of resources involved in the said process as well as satisfying the consumer needs. It also takes care of the process of converting the inputs such as raw materials, energy and labor into outputs in terms of finished goods or services. It is also the responsibility of an operation manager to ensure that the production process is eco-friendly and energy efficient to the most possible extent. Conduct meetings with team members to discuss issues and updates. The opportunity for career growth for a student passing MBA in Operations Management is immense. As the program enables its students to help and increase the productivity of an organization which is directly related to the growth of revenue, therefore such a person may prove himself to be an asset of the organization. And it is for this reason that an efficient MBA in Operations is a very sought after criteria for the employers. A person with such degree can hold up various responsible positions such as Operation manager, Plant manager, Manufacturing consultant, Production manager, Section manager, Branch trainer, Chief operation officer, Operation management engineer, Inventory manager etc. And if one can prove himself to be smart and efficient enough for the job, he has enough opportunities to gradually move up the hierarchy of the organization. And as far as present Indian business context is concerned the scope for an operation management professional is considerably wide for there is still adequate demand of effective and efficient operation managers in any industry whatsoever. In conclusion we can say that Operation management can be considered an interesting specialization for managements students interested in the manufacturing process. And it is also undeniable that a full proof corporate strategy would be incomplete without proper emphasis on the operation area which can only be managed by an effective operation manager. And if you are an MBA in operations from a renowned management or engineering institute then you will not have ever to look back in your career that can be safely guaranteed as of now and in the years ahead. The above list contains just a handful of the educational institutes however there are many more such recognized institutes throughout the country catering the said course. Author Bio: A professional writer and an ardent blogger, Sampurna Majumder has been lending her knowhow to prominent websites by penning articles and blog posts on popular courses, educational trends and institutes like these. Next story Pre MBA entrance exam tips-Here are few! !